We've known for a while now that the Apple Watch Series 3 is selling gangbusters, and Apple today signaled just how well it's selling in its third quarter earnings call. The Apple Watch had itself a record-breaking quarter, improving in revenue growth in about the mid-40% range year-over-year. While Apple still doesn't split out individual numbers, we do know that Canalys estimated 3.5 million units in the last quarter, a 30% improvement year-over-year. Apple Watch helped lead a thriving wearable segment for Apple, which includes AirPods and Beats headphones, which overall grew 60% year-over-year. While we don't know exactly how much the Apple Watch drove here, it's likely that it made up a significant amount of the quarter. 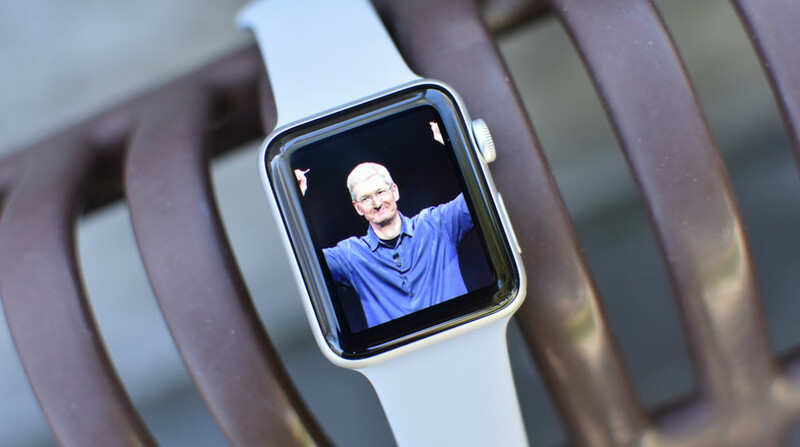 Overall, wearable revenue has exceeded $10 billion for Apple in the last four quarters. Tim Cook took some time to point out the extremely popular AirPods, saying that it reminds him of the early days of the iPod. This is definitely true in the San Francisco Bay Area, where it seems every other person has a pair, but AirPods seem to be a worldwide hit. Apple's wearables are a part of its famed "Other" category, which brought in $3.74 billion in revenue in the past quarter. That's up a good 37% year-over-year. At this point, it feels like Apple has struck a chord with its wearables - especially Apple Watch - and it seems like it's only a matter of time until Apple Watch climbs out of the "Other" category and warrants its own time and units. For instance, Apple's MacBooks, which get split out into their own segment of these calls, sold 3.7 million units this past quarter. Apple Watch can't be too far behind that. Apple is certainly sitting pretty on the Apple Watch, especially with the Series 4 just over a month away from its now-traditional September debut.